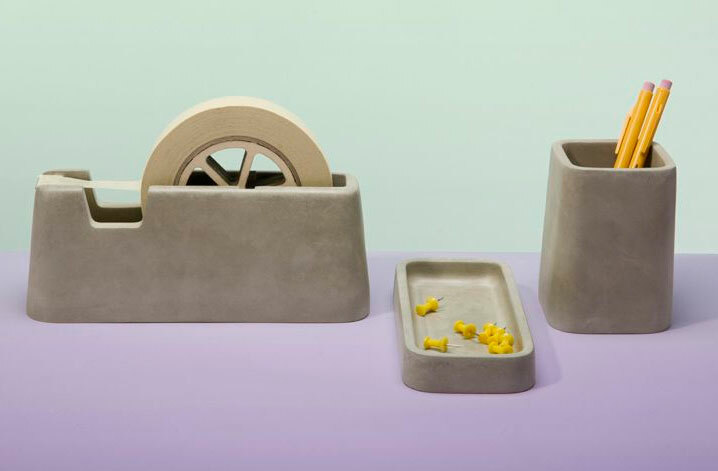 There is something so elemental and solid to these simple desk accessories that are composed of concrete. Perhaps it is just that they are such simple pieces, or maybe we all like the idea of something weighty and stable in our office spaces. Whatever the case these desk pieces by Magnus Pettersen of Norway are on the verge of iconic. 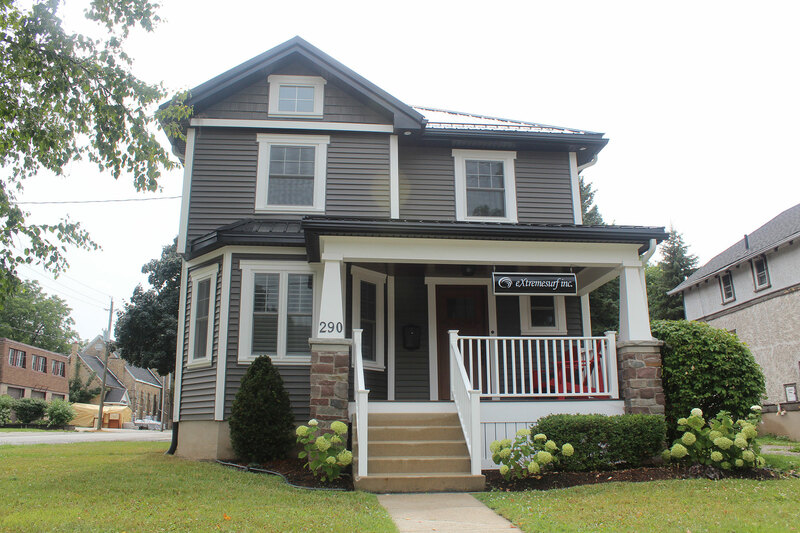 While looking at floor plans for homes, I noticed several with fairly well-sized dormers. They were illustrated with a chair and that was all. There is so much more opportunity given to this space? Generally on the upper level of a home, these dormers usually are outfitted with windows that offer great views, so do something wonderful about it! 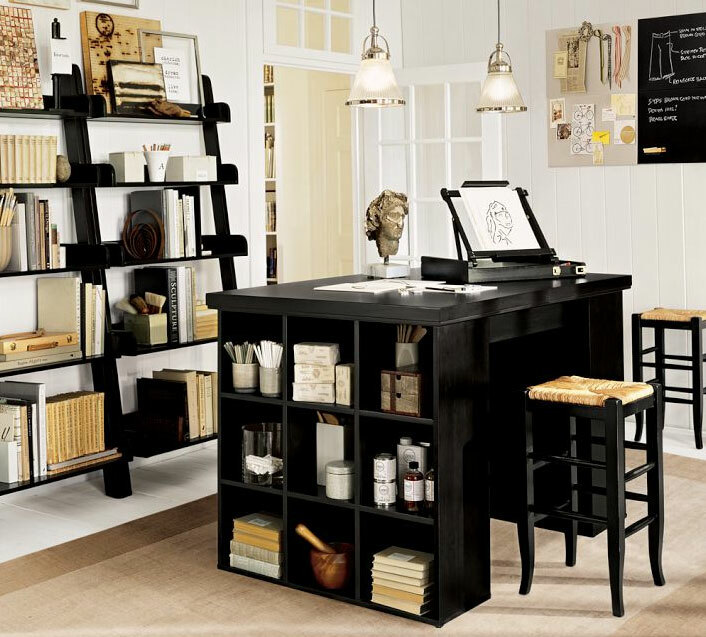 Dormers can be a private spot since they are tucked away from the rest of the room they accompany, so a desk space/ reading nook is a perfect idea. 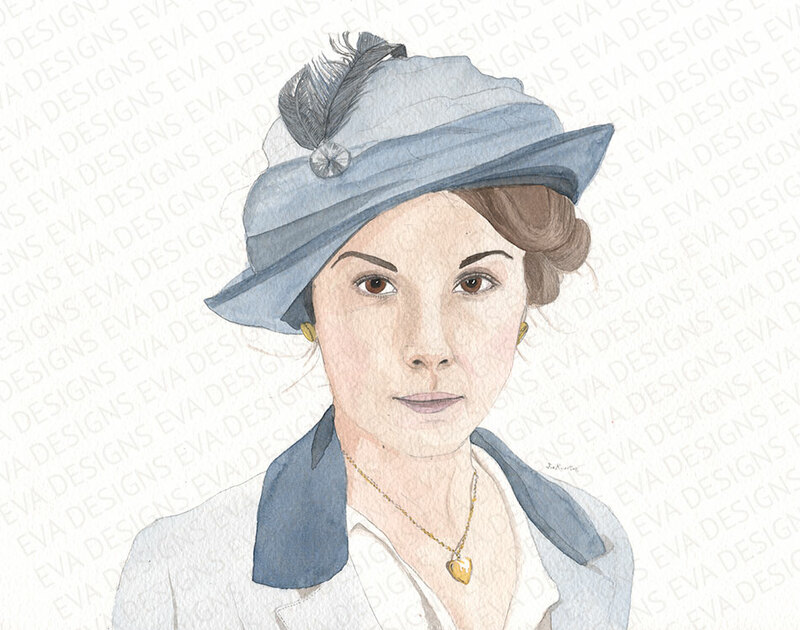 The selection above is a collaboration I made of rich plum, champagne, pale lavender and grey. Chaise by Urban Outfitters, Desk by Crate and Barrel, Linen Chair by Overstock, Chandelier and Sconce by Home Depot, Bloom Cushion by Z Gallerie, Plum Cushion by Crate & Barrel, Rectangular Cushion by Room and Board, Glass Pull by CKP, Espirit Rug by Heine. The designer of this chic office is Mary McDonald is based out of Los Angeles, and it’s just one of the many beautiful designs that are featured in her new book: Mary McDonald: Interiors: The Allure of Style. It is a perfect spot for the creative at heart and has just enough sophistication and feminine vibes to keep it from becoming too stuffy or frilly. Notice the Audrey Hepburn print, isn’t it incredibly fitting on the Tiffany blue wall?! 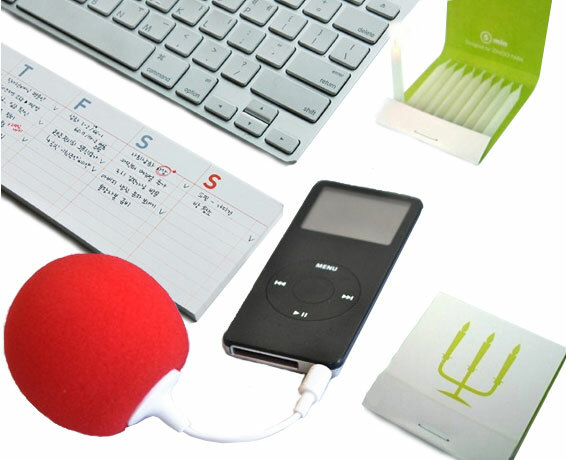 Poketo.com is a handy little website with seriously cute little gadgets for around the office and home. The Desk-It is a weekly sticky notepad that helps in Sunday through Saturday organization. I have a huge desk calendar that sits unused under my keyboard since I have to lift up my keyboard every time I want to write something new, so annoying! And high up on my want now list is the super cute Music Balloon portable and rechargeable USB speaker. Another handy little item for the home are these 5 Minute Candles that are packaged to look like a book of matches! I love anything that is miniature and useful! Whether you have the joy of working from home, or like a space to do your personal filing after your 9-5, a home office is getting a lot more importance in today’s functioning home. How much space you require and the tasks involved with your personal office will determine your options. Architect Kevin Deevey needed a home work space that could take him away from his modest sized home and 2 small children. 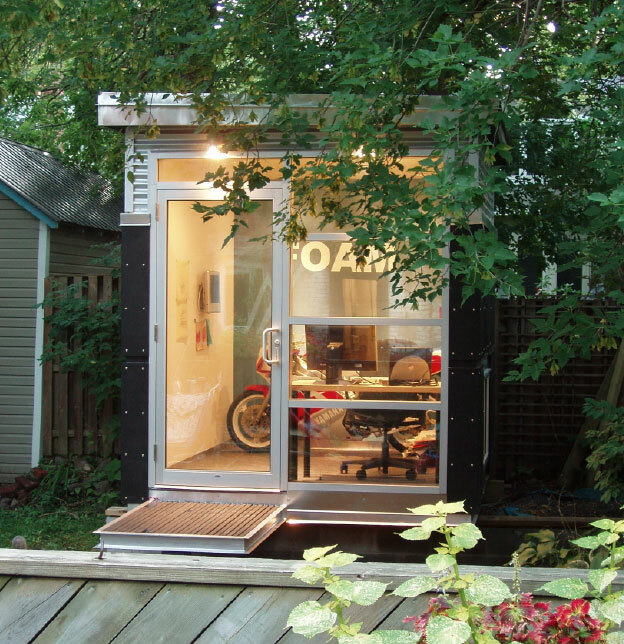 Just steps away in his own backyard, Kevin came up with this fantastic 10′ x 10′ office. It houses his computer and drawing board and looks smart with a commercial curtain wall front allowing plenty of light. 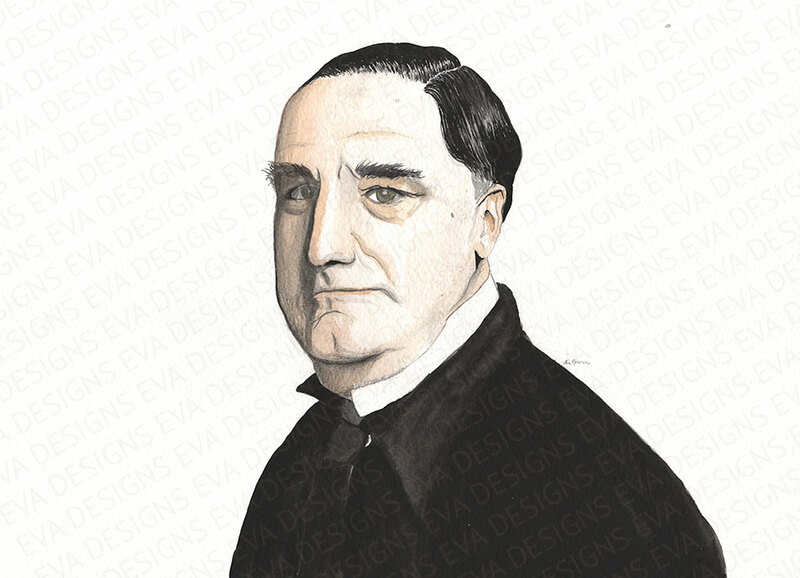 Since “The Office” is back and Michael Scott fans can rejoice, Lets feature a fabulous office shall we? This Four seasons Sales Office was designed by golden boy Brian Gluckstein of Gluckstein Design Planning Inc. Gosh I love him! He really does have a Midas touch, whether it be through a phenomenal mastery of rich neutrals or furniture selection. We all have those spaces in our homes that we have to get creative in order to utilize, and I esteem this dormer as the best use of dead space! Dormers can be a tricky bit of business to get right when attempting to be deemed as functional. 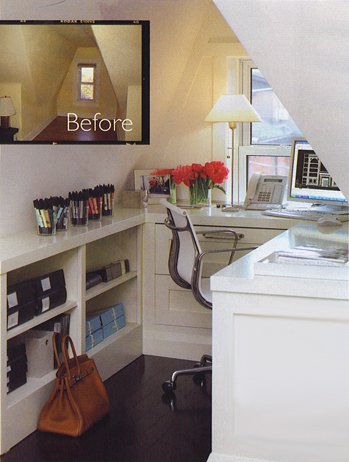 Designer Collen McGill’s attic is featured in House and Home’s March 2008 magazine, and it is a fresh and tidy work of organizational art! With a wrap-around desk in a crisp white, and storage and shelves under the slopes of the ceiling, it certainly would be a cozy and refreshing place to work. Well done. Let’s get personal about customizing. 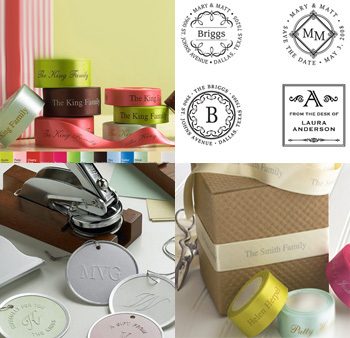 Here are some great and fun items you can get monogrammed/ stamped/ wrap-happy with all the day long. 100% Silk Satin 5/8”Ribbon with a custom message or name will let your gift recipients know who is thinking of them. Looking for a smart stamp to identify your books for your personal library, or mark envelopes? 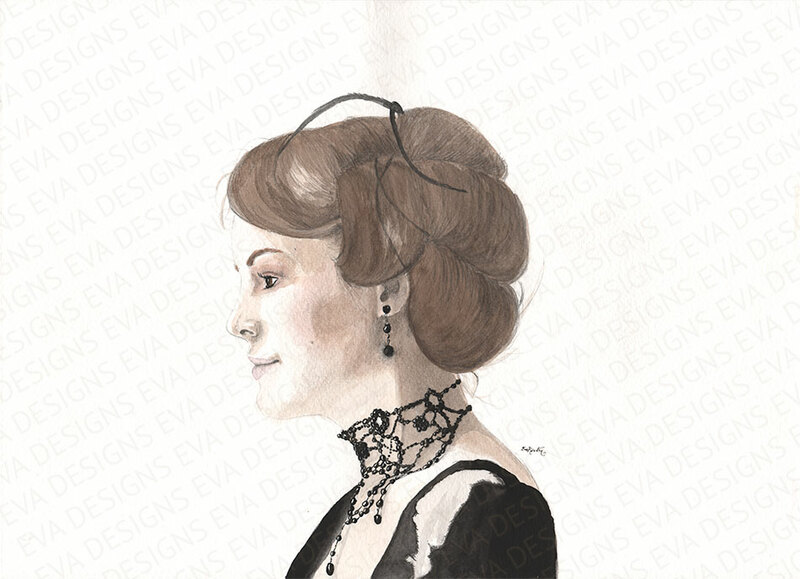 The fresh designs and various ink shades will delight you! Do you thrive on presentation and believe that what is inside your gift should be as pretty as the wrapping? Embossers and colorful Vellum Stamp Tags and Stickers are a tantalizing and professional way to accomplish just that. A Desktop Embosser can be customized for so many uses! More and more people are working from home, studios and corner offices are becoming domesticated and I love it! I am all about organization and in order to stay in top form, your workspace should provide a clear and functional space for all your hard work. Enter the Bedford Project Table, it fits all the criteria with two 3×3 Bookcases for storage on both ends and a huge tabletop. The tabletop (measuring at 55” wide and 38” deep) is definitely large enough for all your crafts, serious paper work files, photo shoot layouts…you get the picture. The desk is at a kitchen-countertop height, so pick out some swiveling high stools where you can perch with your home-brewed coffee from 8-5. Available in other colors; antique white, espresso, and mahogany stain.